Do anda prefer Matilda AKA White Bird's previous, outdated male version atau her new, lebih biologically accurate female version? favorit character in Angry Birds bintang Wars? What device do anda play Angry Birds on? Angry Birds luar angkasa is the fourth installment to the Angry Birds series. The release tanggal was on March 22, 2012. It was first announced on the Angry Birds luar angkasa page. Do not hapus Angry Birds Rio! On the heals of Angry Birds Rio’s first update in nearly nine months, some of our fantastic sleuths have uncovered even lebih good news! Angry Birds Rio will receive a full-sized update, in a new episode called buah-buahan Market! We have learned our lesson since the Pig Dipper incident, so here is our standard disclaimer, “The episode judul is subject to change”. Our guess is that the general theme of the episode will be based on the deleted scene from the movie, which we have included below for your viewing pleasure. The Angry Birds bintang Wars Hoth update (v1.1.0) is now available for iOS, PC, and Android via google Play, with lebih platforms coming soon. This is the first major update to Angry Birds bintang Wars, which was released only a few short weeks yang lalu (this update was teased just yesterday). All anda Angry Birds bintang Wars fan don’t have long to wait as the much anticipated Hoth update is due out tomorrow, November 29th, 2012. To promote the forthcoming update Rovio created the funny teaser video above, which shows a not-quite-as-menacing AT-AT (Pig?) Walker having some trouble keeping his grip on one of Hoth’s icy lakes. ‘Tis the season for minuman telur kopyok, eggnog hangovers, twinkly lights, bolded text, and … Angry Birds! We are here to bring anda another worldwide exclusive! No reason to ask Santa for an update when Rovio is feeling as generous as Ebenezer Scrooge after being visited oleh the Ghost of natal Yet to Come. Angry Birds Seasons “Winter Wonderham” will be the third annual winter update to this epic franchise. Like Halloween, it’s a true tradition. Angry Birds is a video game franchise created oleh Finnish computer game developer Rovio Entertainment. Inspired primarily oleh a sketch of stylized wingless birds, the first game was first released for Apple's iOS in December 2009.Since that time, over 12 million copies of the game have been purchased from Apple's App Store,which has prompted the company to desain versions for other touchscreen-based smartphones, such as those using the Android operating system, among others. Buckle up Angry Birds fans! We’re about to make the jump to lightspeed. During our trip we’ll be handing out complimentary refreshments, as well as breaking down Angry Birds bintang Wars in as much detail as possible. First things first though, take a deep breath, anda must. 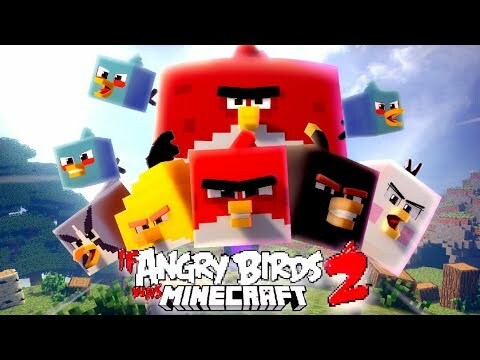 a pop quiz question telah ditambahkan: When is the Angry Birds 2 Movie coming out?